Zane has been in the IT industry with a strong focus on Cybersecurity for more than 20 years. 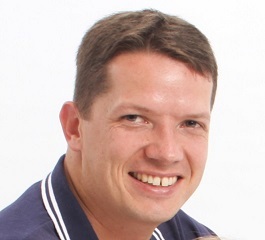 Originally from South Africa, Zane lived in the Middle East as a global infrastructure architect in the financial services industry standardizing architecture and support models throughout the organization, moving on to the Regional IT Director for the Americas for the same bank, before returning to South Africa where he Joined Dimension Data almost 10 years ago. Zane Started at Dimension Data Running the Operations for the Security BU including Presales, Professional Services, Consulting and Managed Services. Zane has spent a significant part of his career with Dimension Data in South Africa and the Americas, developing and Evolving the Managed Security Services go to market and Operationalization of the Services with a focus on technology integration architectures and then the implementing ITIL as the standard process framework used. Zane has significant amounts of experience developing and understanding resourcing requirements, and how to be effective through standardization of people process and technology.